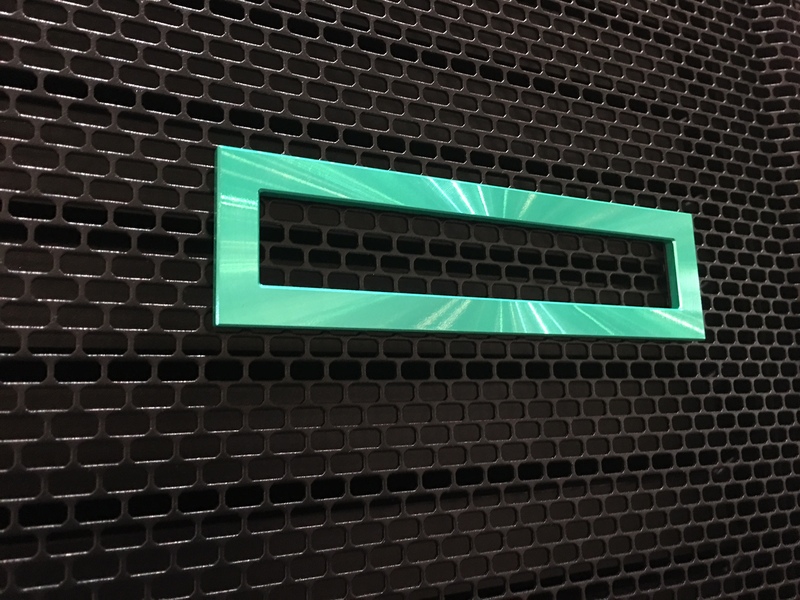 HPE and Intel gave me the opportunity to review the new HPE Proliant ML110 Gen10 server. 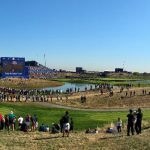 Find here my conclusions in this article ! 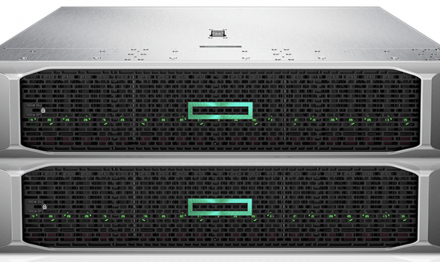 The HPE Proliant ML110 Gen10 server is a single-socket server for Intel Skylake based processors. It is a tower model with a width of 4,5U. Know that a Tower-to-Rack conversion kit is available for installation in a server rack. The ML110 Gen10 is the next generation of the ML150 Gen9 and ML110 Gen9. Therefore it is positioned in the SMB market below its big brother ML350 Gen10, which is a dual-socket server. 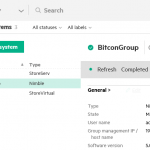 However it is designed to provide enterprise class features such as redundancy, reliability and manageability. 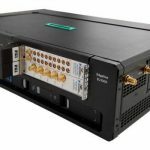 It has all Gen10 features like Silicon Root of Trust for ultimate firmware attack protection, Intelligent System Tuning for optimal performance and state-of-the-art remote management with HPE iLO5 and iLO Amplifier Pack. 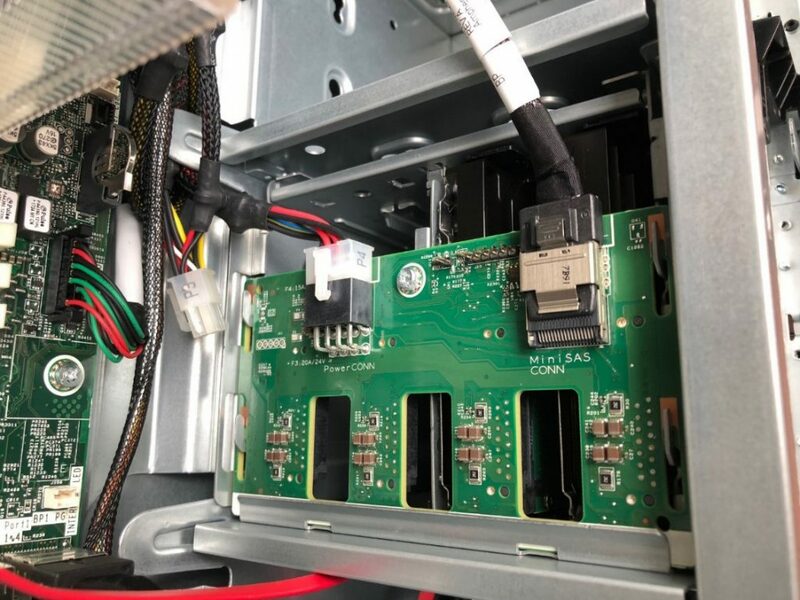 The options list contains redundant power supplies, redundant fans, a physical serial port and plenty of other typical server options. 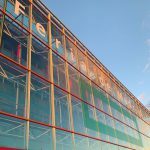 A full list can be found in the QuickSpecs, link at the end of the article. Unlike previous generations in the 100 series, warranty comes now with a standard 3-3-3 years of support. 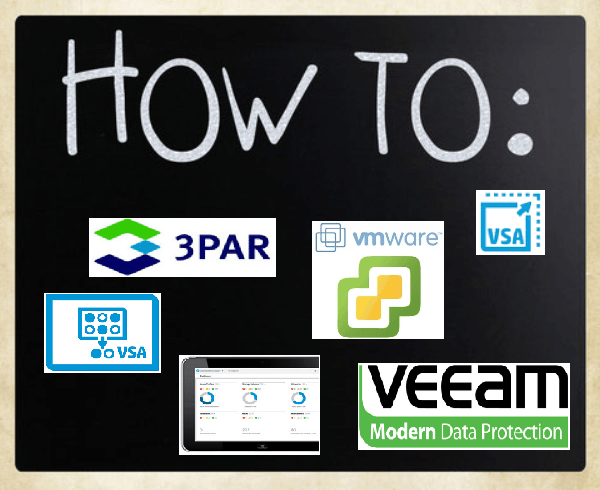 An important added value to me making this a ‘true’ Proliant server for SMB with enterprise features, together with the availability of Foundation and Proactive CarePacks for optimal support experience. 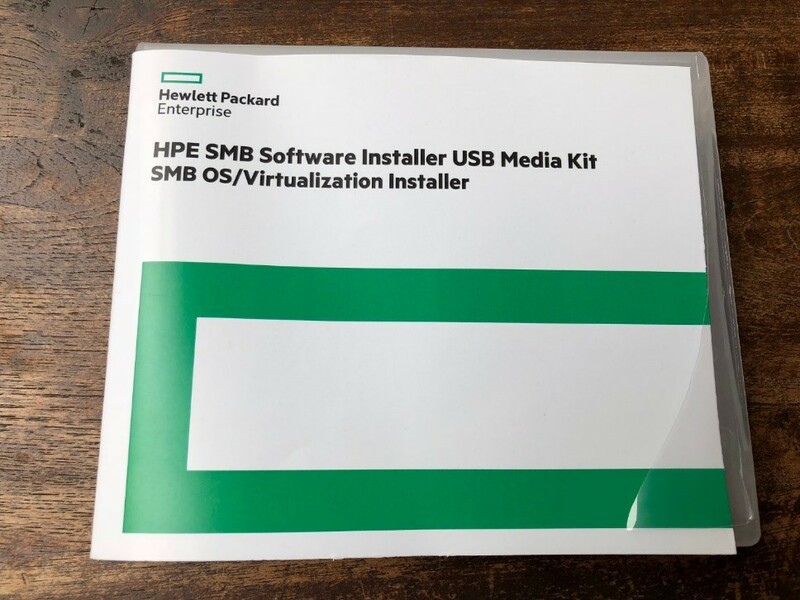 Like the first HPE Proliant servers (then still Compaq) 25 years ago, there is a still a CD/DVD box with additional software. In the past there was the SmartStart CD for initial installation and configuration, the management DVD with all management software like Systems Insight Manager and Insight Control, and the Firmware DVD… This is all finished now, since this is all build-in now since iLO4 on the motherboard. The only thing we get now is a USB stick with OS and virtualization software from ClearOS and VMware, both supported on this server. 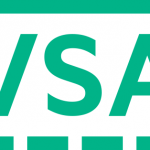 I will publish an article soon specific on the software part on this server. Stay tuned ! 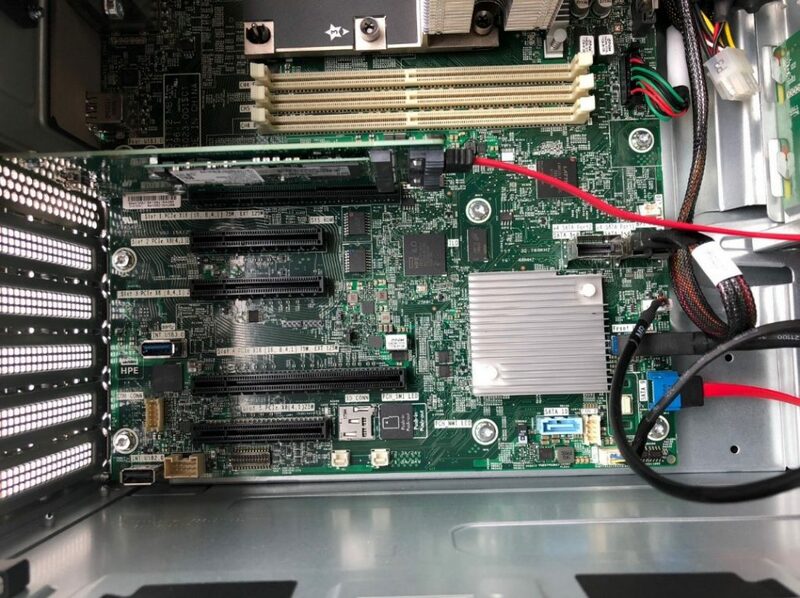 When we open the hood of the server we find the typical components we expect in a server. 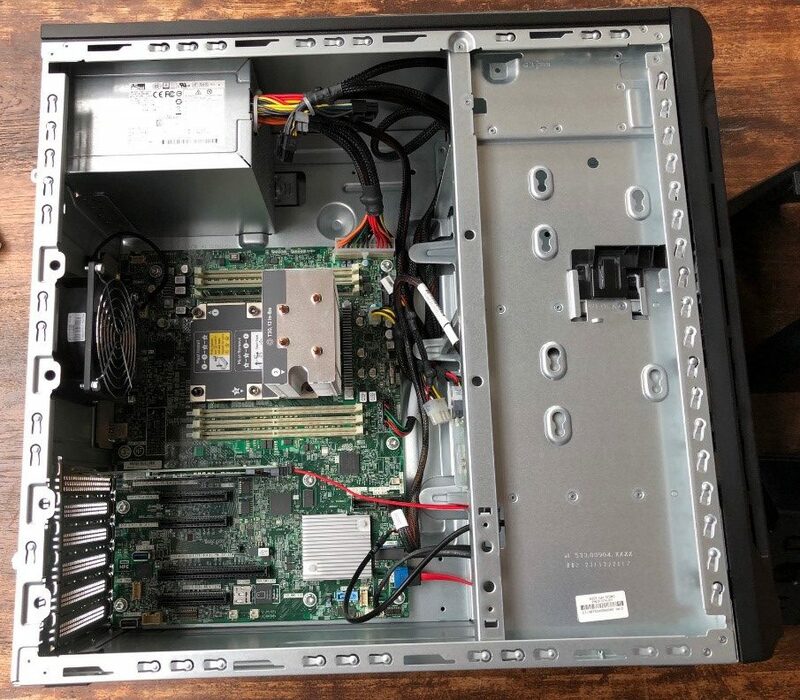 However I notice instantly that this is more a true server (more professional cabling and labeling) compared to the 100 series servers of a few generations ago… Must admit it was more an upgraded tower PC then, now we are talking about a real server, with the availability of the HPE iLO5 remote management controller and a true HPE SmartArray storage controller. Optimized cooling is guaranteed with the 2 air baffles installed in the server. 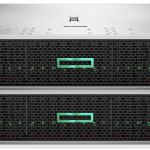 These are part of the 3D Sea of Sensors optimized cooling mechanisms available in almost all HPE Proliant servers from Gen6 on. Once you remove them, you will find all typical server components. 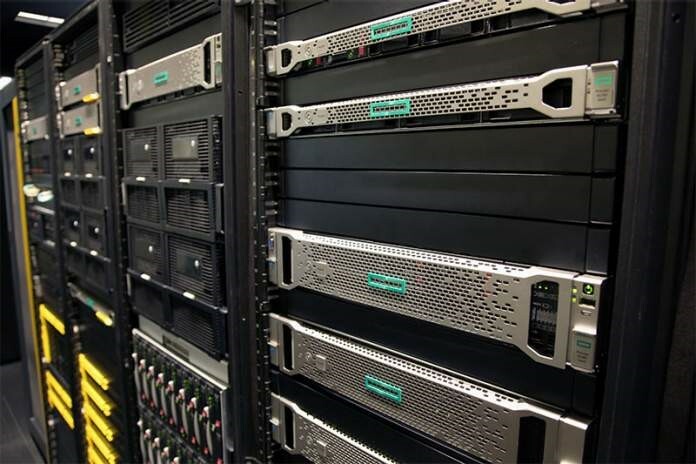 Also typical to any HPE Proliant server is the sticker on the hood of the server. Here you can find all components shown with its exact position on the motherboard. 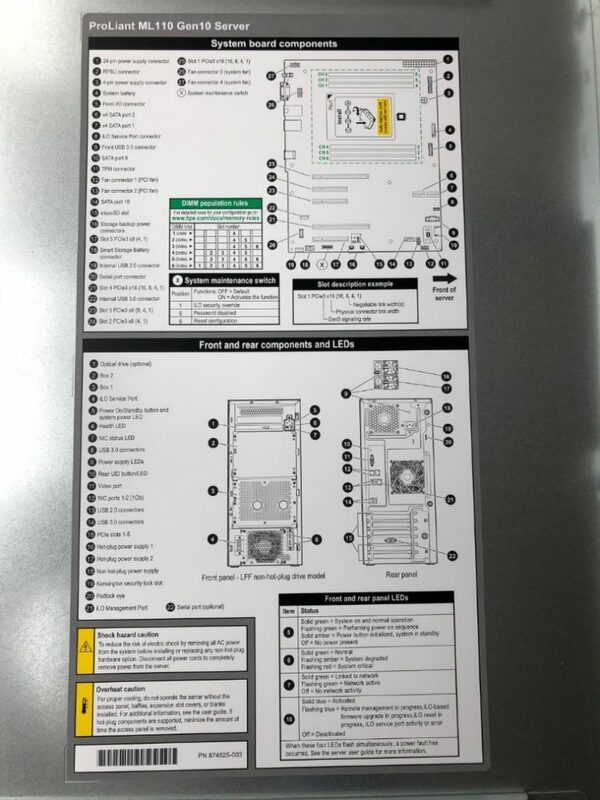 This overview contains important information like DIMM population rules, front and rear panel LED’s and system switch functions. 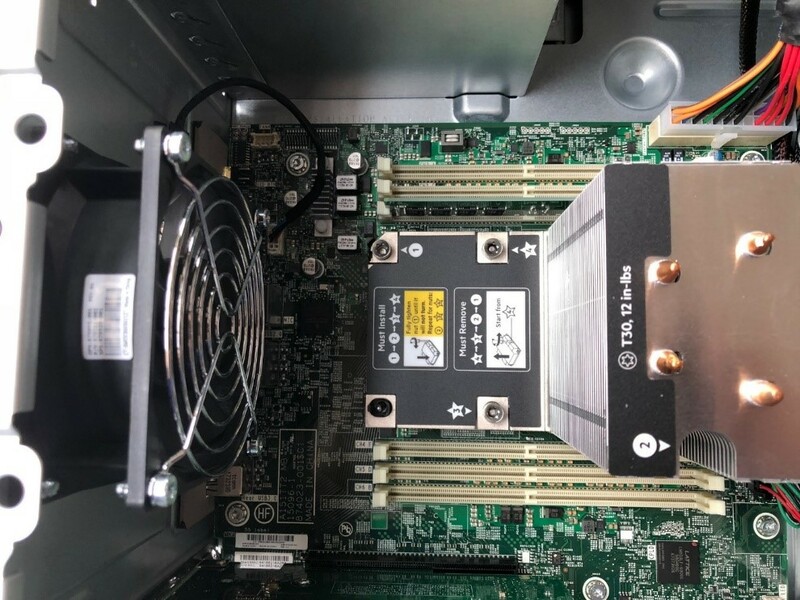 Find here some more detailed pictures from inside the server with the Intel CPU processor and the storage controller with its cabling. 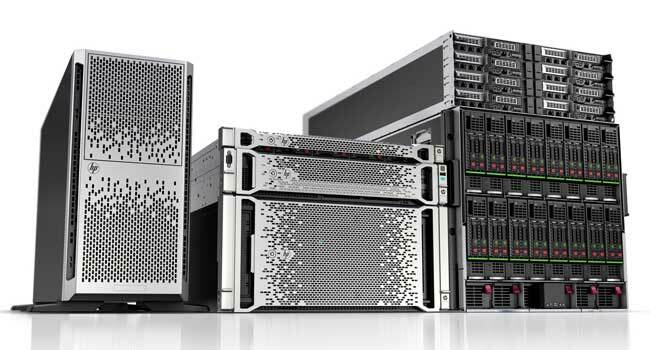 The HPE Proliant ML110 Gen server is available in several models and types of components. 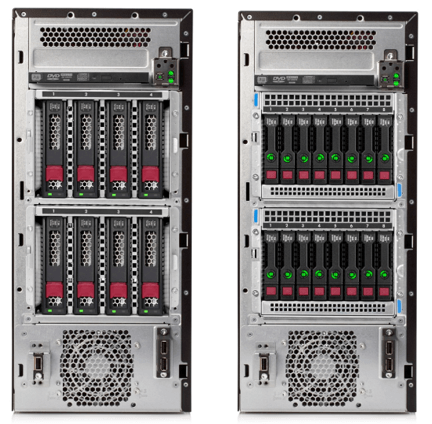 It is a single-socket server that supports Intel Xeon Bronze, Silver and Gold (5000 series) Scalable Family processors. There are only 6 DIMM slots, but with 32GB DIMM’s available on the market gives you a nice 192 GB of memory, more than enough for the envisioned SMB market. 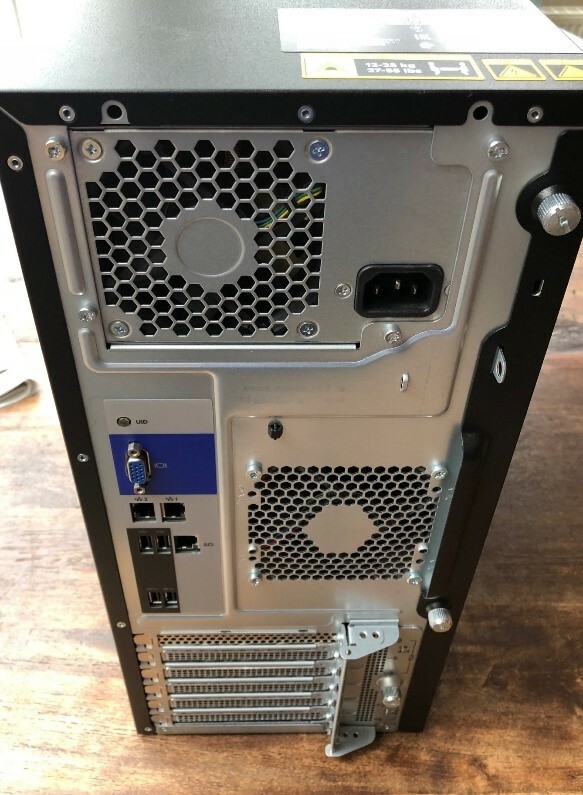 On the storage side, 2 models are available, one with a maximum of 8 LFF (large form factor) 3,5 inch drives, and another model with up to 16 SFF (small form factor) 2,5 inch drives. 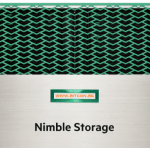 This gives you a maximum of 61 TB of storage with the drives available today on the market at the time of publication. The system has a single 550W ATX power supply, a redundant power supply option is available as well with the RPS enablement kit. The server has standard 2 x 1Gb Ethernet interfaces, but with the availability of 5 PCIe 3.0 slots much more bandwidth is available. 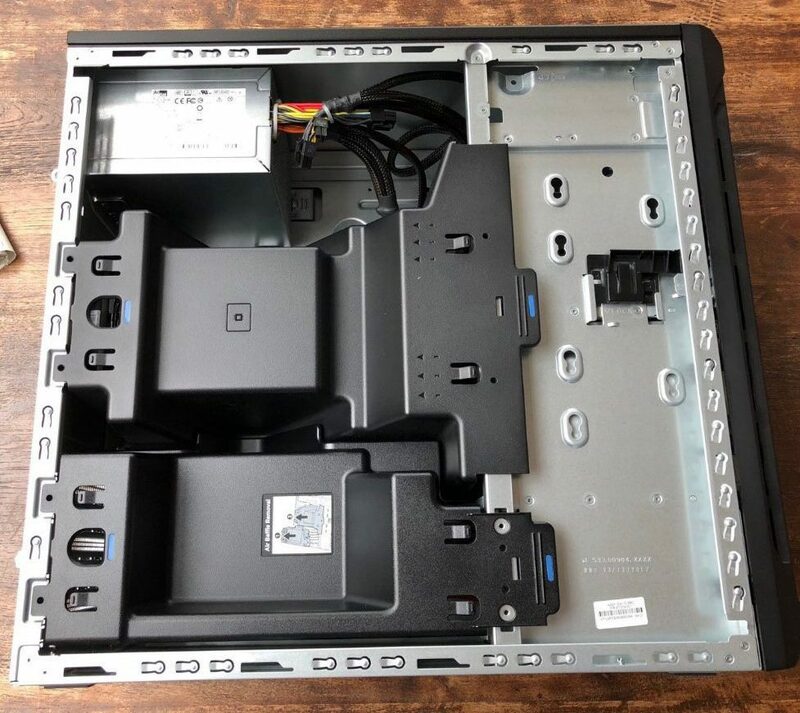 Besides that an MicroSD slot and several USB slots in and outside are available as well to install your favorite hypervisor. 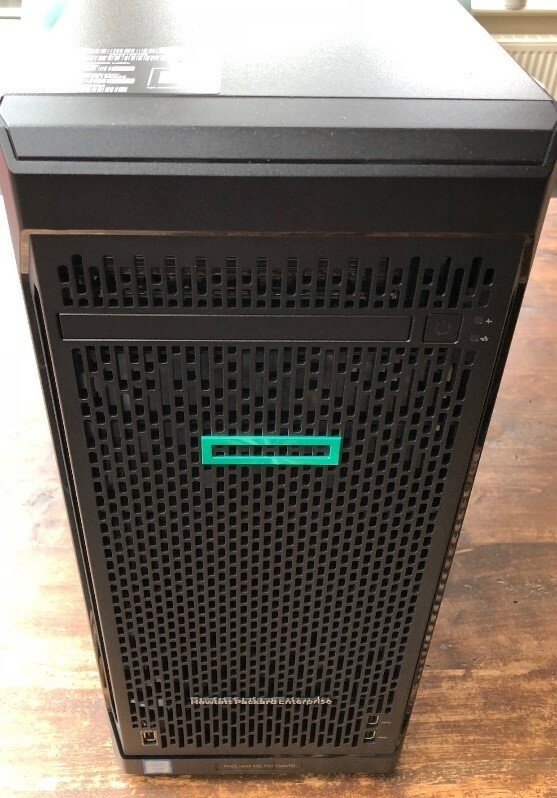 In upcoming articles, I will dive deeper in the software options ideal for this HPE Proliant ML110 Gen server for SMB like ClearOS. I will look as well to all new features of the iLO5 management interface. Stay tuned!